The Hobby show is now open to trade, and pictures have been circulating via Waigo Hobby and various twitter feeds. Here is the TRF419 pics and info. 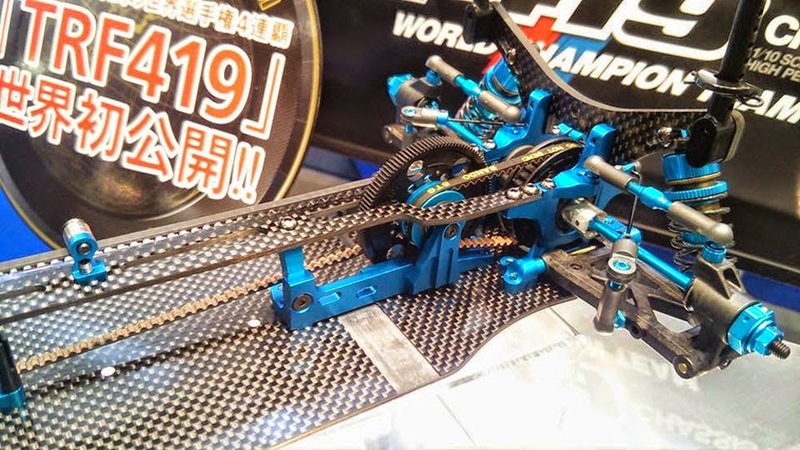 In pursuit of Tamiya's 6th IFMAR World Championship title in the Touring Car class, the Tamiya Racing Factory designers have been hard at work. 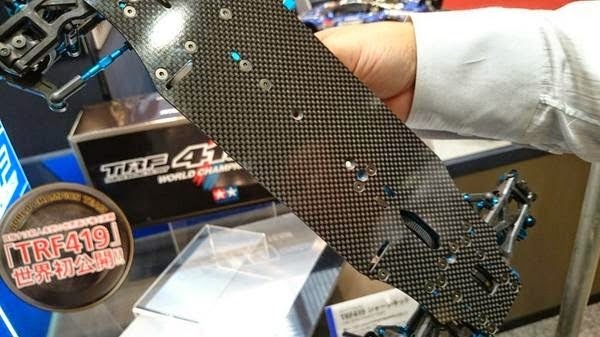 Their latest creation is the TRF419. 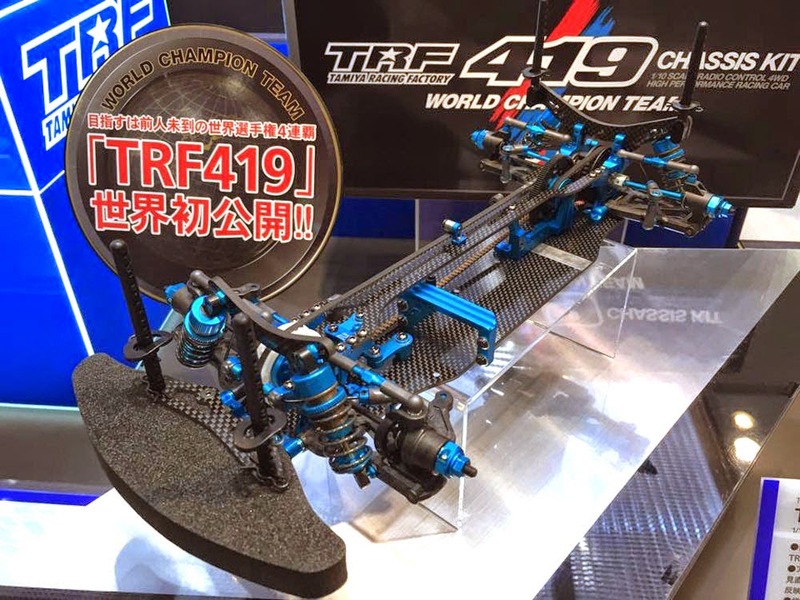 The TRF419 is the successor to the TRF418, but it has been heavily tweaked and optimized to give Tamiya's top drivers the best chance in securing the 2014 World Title. Inherits the new TRF418 suspension parts. Aside from the suspension parts, the rest of the chassis features a whole range of updates and new parts. 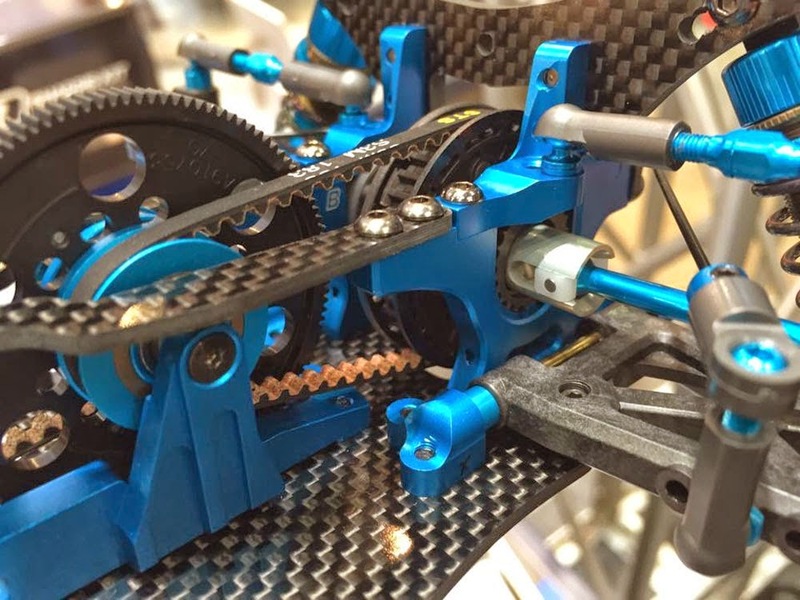 Carbon fiber upper and lower decks have been redesigned for optimum chassis balance and to maximize the potential of the new drivetrain parts. 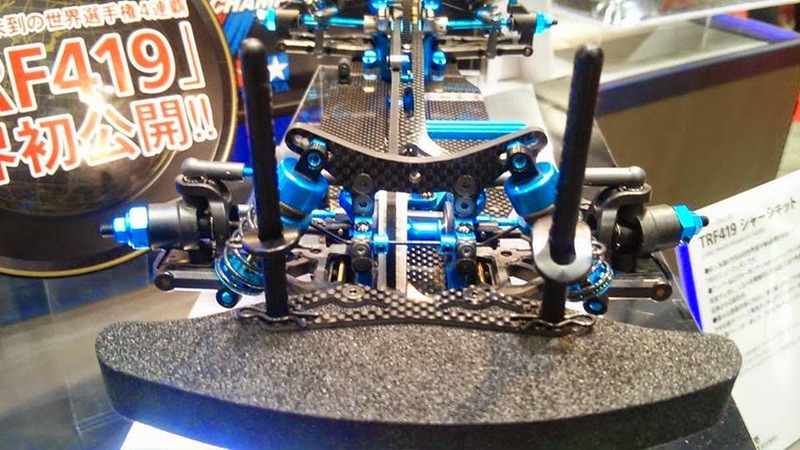 Oil-filled Dampers follow a new design, and combined with new carbon fiber stays will provide excellent traction on a range of track surface conditions. 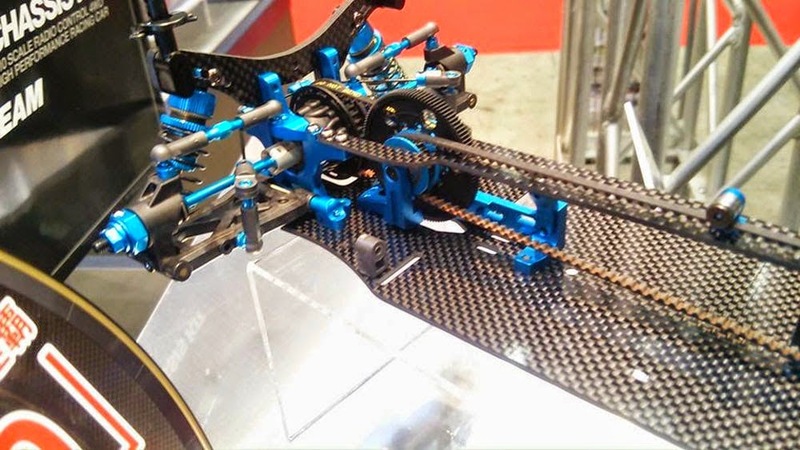 The new aluminum motor mount ensures that the chassis' supreme flexibility is fed back more efficiently. The motor position is altered to optimize weight distribution. Features newly-designed bulkheads, motor mount, dampers and gear differential unit.